The U.S. government announced last week it will invest more than $ 1 billion to improve energy access for underserved communities across sub-Saharan Africa. The investment falls in a new framework called “Beyond the Grid” that is part of the Power Africa initiative launched by President Obama in 2013. The initiative seeks to provide 20 million new electric connections in six sub-Saharan African countries during an initial five-year period. The focus countries are Ethiopia, Ghana, Kenya, Liberia, Nigeria and Tanzania. During the US-Africa ministerial meeting on energy held last week in Addis Ababa, the U.S. Energy Secretary, Ernest Moniz, officially inaugurated the Beyond the Grid program that will finance electrification projects outside networks, including those using renewable energy sources such as solar or geothermal energy. “With close to 600 million people without access to modern-day electricity, it is clear that centralized grid access is not a comprehensive solution for these countries in one of the world’s least urban continents. But through solutions including off-grid and small-scale energy projects, we can bring electricity to these rural areas,” said the U.S. Energy Secretary. 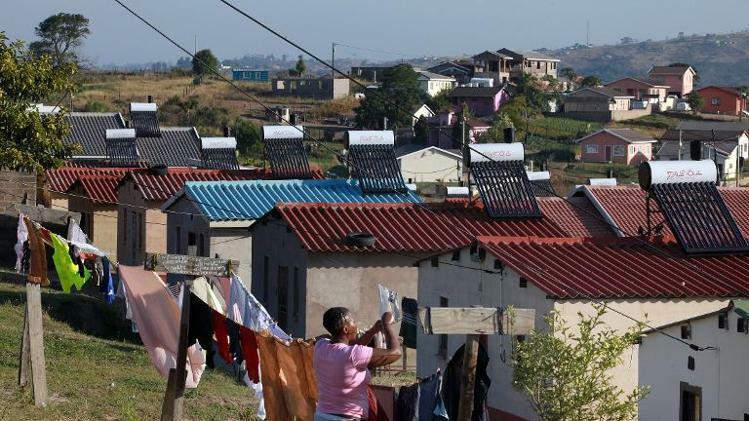 Nearly thirty international investors have committed to participate in off-grid and small-scale energy solutions and help thus the Power Africa initiative realize its goal. According to the Energy Department, Beyond the Grid will help overcome policy and regulatory constraints to providing energy on a small scale, in addition to the fact that off-grid and small-scale energy solutions generating electricity closer to end users will increase productive uses of energy and income generation. By partnering with investors, practitioners and donors, Beyond the Grid will mobilize new resources, technologies and expertise to address energy problems, the Department said. To date, Power Africa has leveraged more than $15 billion from the private sector for new on-grid, mini-grid and off-grid projects in sub-Saharan Africa. Posted by Hafid El Fassy on June 11, 2014. Filed under Business. You can follow any responses to this entry through the RSS 2.0. You can skip to the end and leave a response. Pinging is currently not allowed.